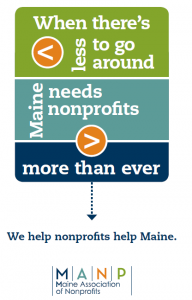 To promote an environment in which nonprofits can thrive and best serve Maine, our advocacy program, guided by our Advocacy Committee, works to build the public’s understanding of the important role of nonprofits; educates nonprofit leaders to be better advocates; and lobbies on behalf of the entire sector. Nonprofits Matter! Help us make sure everyone knows why. 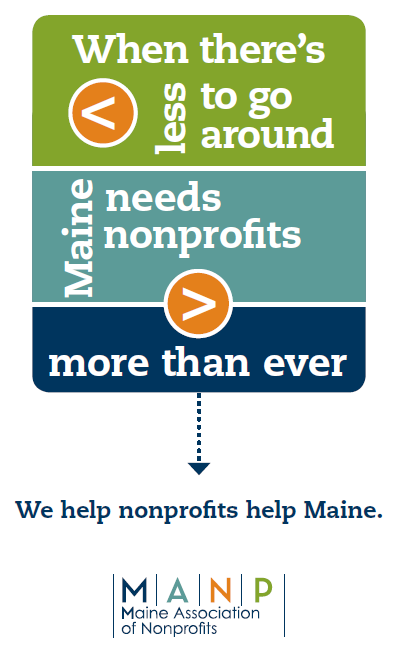 Maine is best served by a well-informed and engaged nonprofit sector. Build your capacity to meet your mission. We advocate and lobby Maine and US representatives on public policies that affect the entire sector. Learn more about the issues on which we lobby. Join your peers in supporting our advocacy work. Meet our committee members who represent the diversity of the sector.